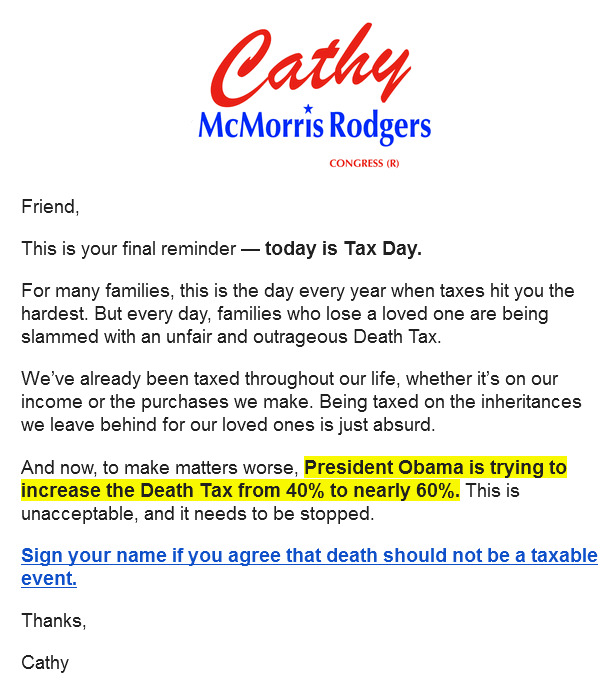 It's "Tax Day" and Cathy McMorris Rodgers graced me with a "Tax Day" email. How fortunate I am to be one of the chosen. The email didn't have anything to say about Affordable Care Act horror stories but that's not what she and the Republican-led House were working on anyway. This time it was...(dramatic music)...Death Tax! What our congresswoman doesn't mention is that the estate tax increase wouldn't apply to over 99% of Americans. Also, it can't become law unless Congress passes legislation to make it so. Regardless, referring to it as a Death Tax and saying it could be increased from 40% to 60% is just the right thing to reinforce the confirmation bias of those who think they're being taxed to death. 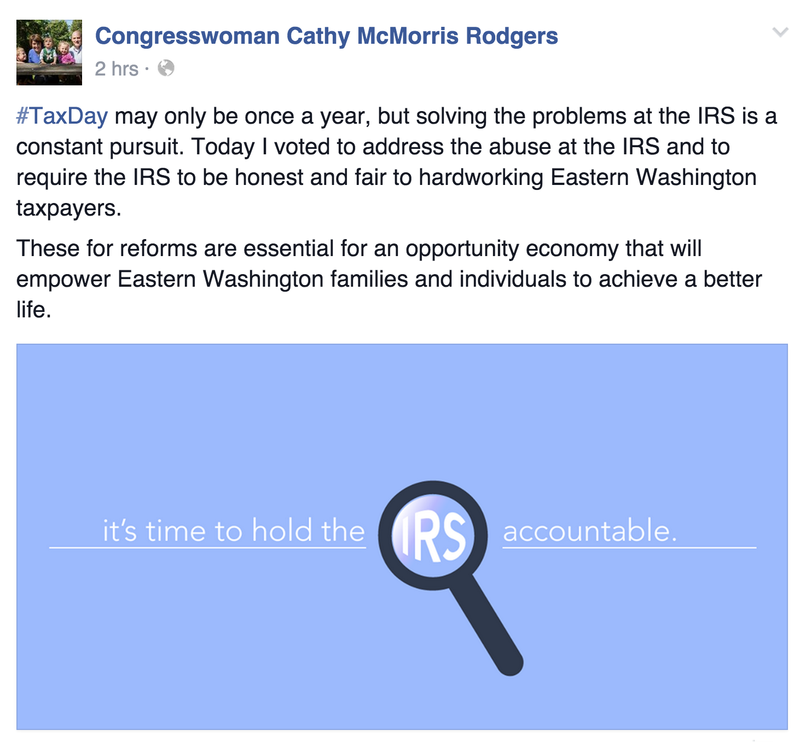 Later in the day, Cathy McMorris Rodgers posted this enigmatic message on her Facebook page. I don't know what abuse at the IRS she's referring to. And she certainly doesn't mention anything specific. So I checked out the legislative activities of the House and saw they had a busy day passing bills concerning the IRS. But there's one that stands out. It's HR 1105 - The Death Tax Repeal Act of 2015. The House voted to enact this legislation today--Tax Day--and Cathy McMorris Rodgers voted for it. If it becomes law it will only apply to about 5,500 of the richest families in the country. Well, what should we expect. 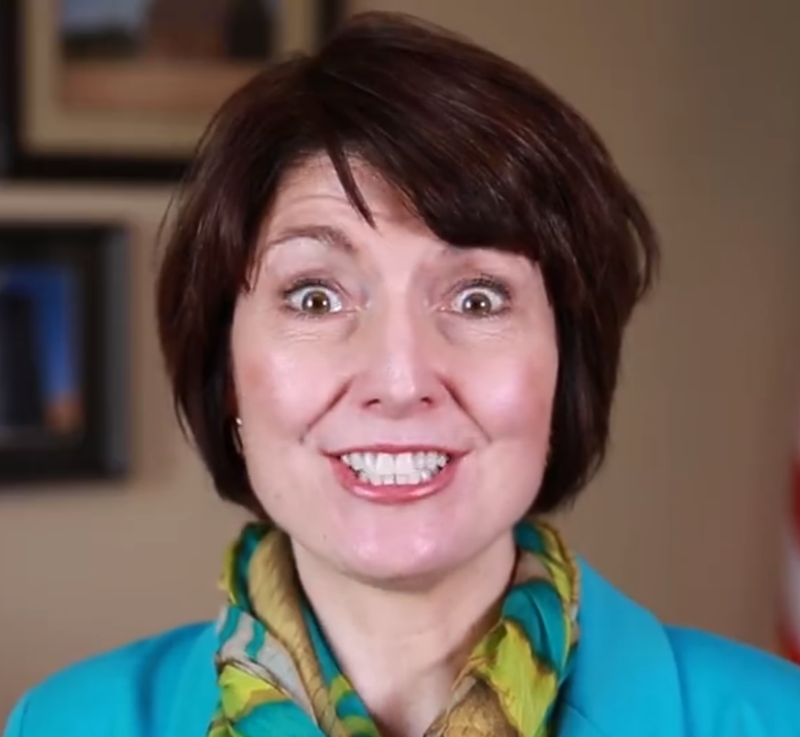 Cathy McMorris Rodgers always looks out for her constituents, whether they live in her district or not. The Death Tax is killing the richest Americans! Wow. What a picture of Cathy! Nice one.